It’s the official start of the holiday season in the last 3 months of 2015. Halloween kicked of the start of it last weekend. Many people were out in their rogue identities, while we were in here working to give you the best in free mp3 downloads. Many artists released official mixtapes on Halloween, although we can’t understand the point behind that because wouldn’t this be the worst time of year to drop a project? No one is really around or has the time to download them because everyone is basically out partying. Then, after the weekend is over, it’s time for recovery mode. Not sure what the marketing scheme is behind that. 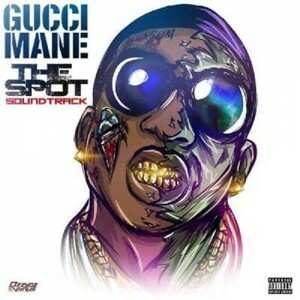 Gucci Mane was suppose to release his movie titled “The Spot” on 10/17/2015, but it was pushed back and is scheduled to debut this month of November. On October 30th, the incarcerated emcee dropped the official soundtrack to the movie. On this product, you will find a 1017 Brick Squad Records playlist consisting of guest appearances by Trina, Kmac, K. Camp, Trinidad Jame$, Young Dolph, Rich Homie Quan, YFN Lucci, Chaz Gotti, Verse Simmonds, Waka Flocka Flame, Peewee Long, Brick Squad Boyz, Cap1, Calico Jones, and Wooh Da Kid. Expect most of the production done by Honorable C-Note. Other producers include TM88, Zaytoven, London On Da Track, Southside, and Purps. If you’re hoping to catch a glimpse of the film, check out the trailer below. 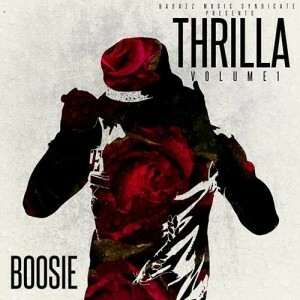 Lil Boosie seems to have a liking for releasing projects during the Halloween season, as he is back again with another official project labeled “Thrilla”. Last year around the same time he dropped a title called “Life After Deathrow”. You can check that one out here. The “Thrilla” effort contains 15 new songs by the Louisiana rapper with guest spots by B. Will, OG Dre, Lee Banks, Webbie, Rich Homie Quan, Shu J Day, and Snootie Wild. The only producers listed on this product are The Music Staff. DJ Envy and Tapemasters Inc are always keep you current with the hottest free mp3 downloads in rotation. 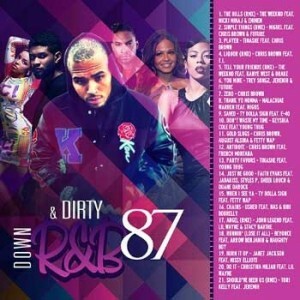 They are back again with another installment in the free music download collection titled “Down and Dirty R&B”. The 87th edition of the series contains 21 hit songs by popular industry artists such as Chris Brown, August Alsina, Fetty Wap, Miguel, Trey Songz, Jeremih, Future, Tinashe, The Weeknd, Ty Dolla $ign, E-40, French Montana, Migos, John Legend, Beyonce, and a whole lot more. Definitely pick this one up to add to your collection of favorites. Well, it looks like that’s it for another blog post giving you the top mixtapes out right now to stream and download free. Thanks for stopping by the best out there in free mp3 download sites. This is turkey month and the beginning of the holiday shopping season, so log-on to our site when you need to wind down from all that madness and relax. Also, we are almost finished with our new mobile responsive design and are sure that you will see why we are the best on the planet.